Patanjali Aloe Vera Kanti Body Cleanser, patanjali Haldi - Chandan Body Cleanser, Patanjali Lemon - Honey Cleanser, Patanjali Rose Body Cleanser are to enhance the natural beauty and glow of skin. Useful in rejuvenating, nourishing and glorifying the skin. Useful in removing dryness and roughness of the skin. All soaps comes in a thick paper package and they are small enough to carry with you while travelling. It will be useful when you are going for a short trip or vacation. 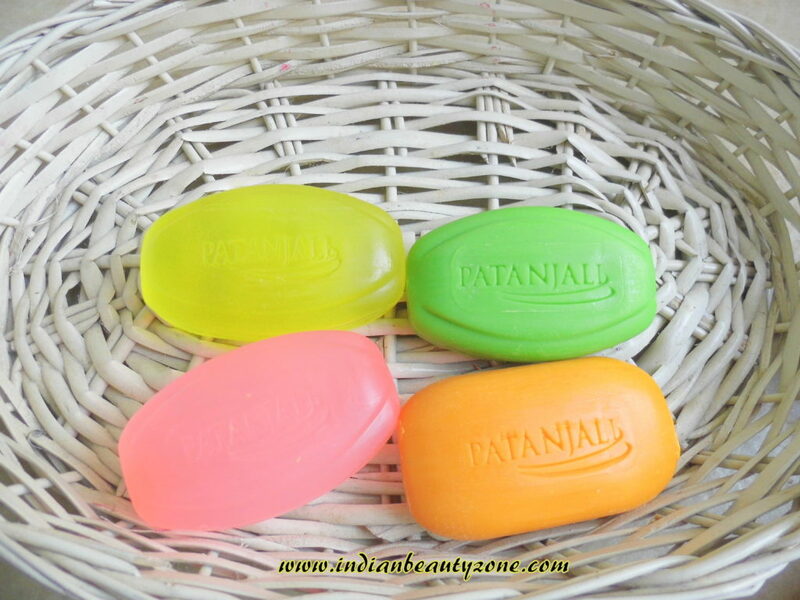 Patanjali Aloe Vera Kanti Body Cleanser is a fresh green solid soap. It smells very good and fresh. It lathers very well and cleanse body skin well, but this soap is bit drying the skin after bath. You will need a moisturising lotion after bath. 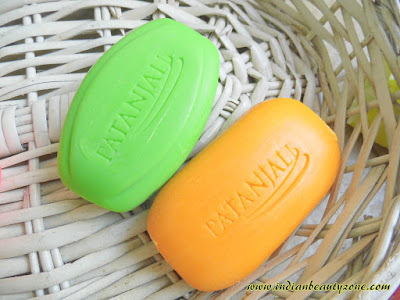 I hope this soap will be good for summer as it gives refershing feeling after bathing. 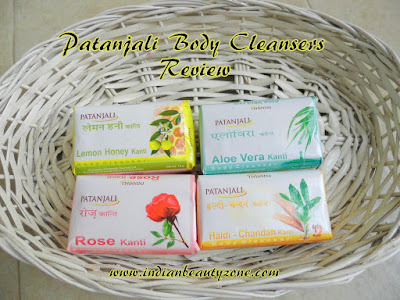 Patanjali Haldi Chandan Body Cleanser is same as Aloe vera soap. It smells very similar to Mysure Sandal soap. It is also suitable for summer. Patanjali Lemon Honey Body Cleanser is a yellow transparent soap which has really a refreshing lemon smell which leaves the skin normal. It smells really good. 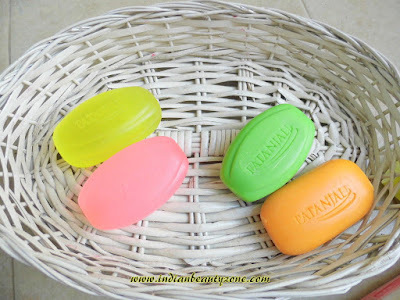 Patanjali Rose Kanti soap is a pink transparent soap which smells like rose water and lathers well. The smell is very pleasant and mild. 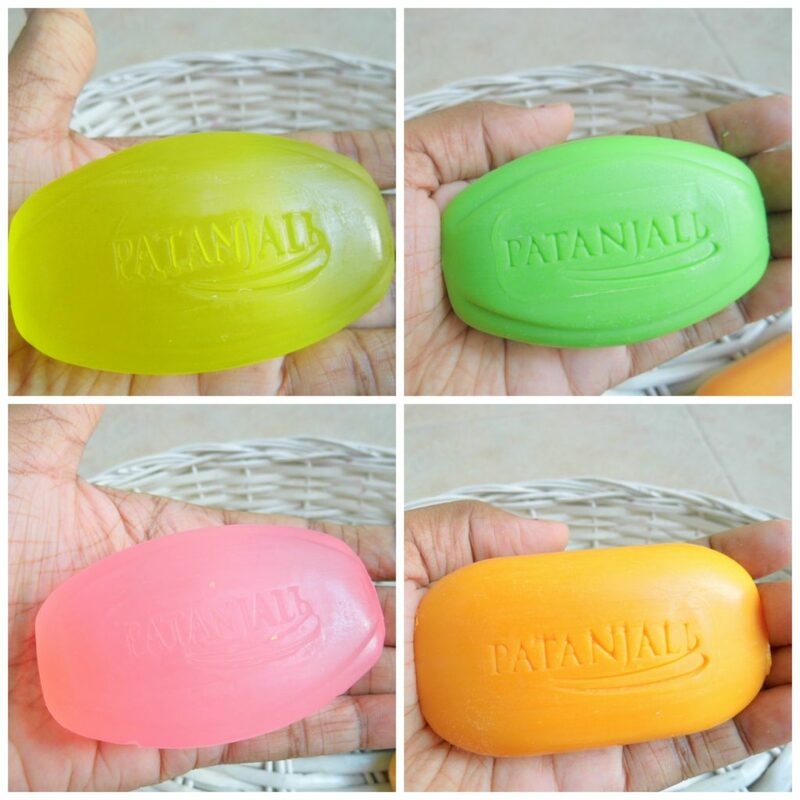 Overall I liked all these four soaps and especially the transparent soaps are very good and my favorite too. They alk are available at an affordable price which comes for maximum 10 days. Generally these kind of herbal soaps won't lather much, but these soaps are exceptional. I love their different smell and refresh feeling they give after bath. Avaliable in four different varieties. The solid Soaps leaves the skin bit dry. 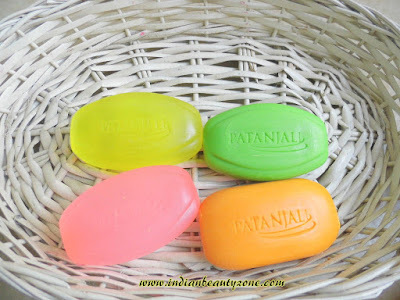 Patanjali Body Cleansers are best affordable soaps for those who are looking for good herbal soaps with pleasant smell. Try your favourite flavour and enjoy the refreshing feel after bath at an affordable price.